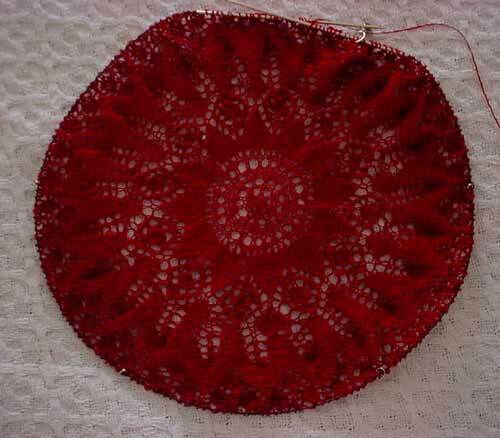 DOILY – NOW WITH VISIBLE PHOTO! O.K. I’ve found a mistake in the FANDUGEN pattern. It appears to be in the original Danish pattern, and is carried through into the uber-accurate translation posted on Nurhanne’s Yarn Over website. It’s a simple transposition of the k3 unit and the double decrease. It’s very evident in the photo that accompanies the pattern that the area of small roundels at the top of the tulip like unit contain three little round units, and that the outer two of each triad are finished the same way as the innermost one. If you work the pattern as written, the little circles aren’t finished off nicely with that center double decrease. It just doesn’t look right and the oddness in logic leaps out at the knitter immediately. 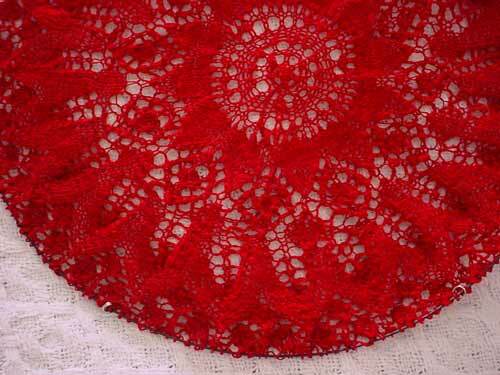 Love the doily. Thanks for the errata!